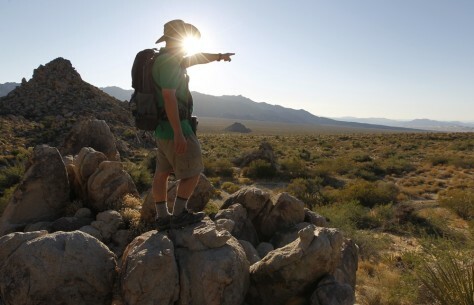 Seth Shteir, a California Desert Field Representative for the National Parks Conservation Association, points out features in the Mojave National Preserve near Kelso, Calif., on Oct. 19. By tapping into an aquifer the size of Rhode Island under a 35,000-acre Cadiz ranch, proponents say they can supply 400,000 people with drinking water in only a few years. Conservationists, however, are concerned.